Being able to draw on a PDF on Mac is a huge benefit that not all PDF editors provide, and a great annotation tool. 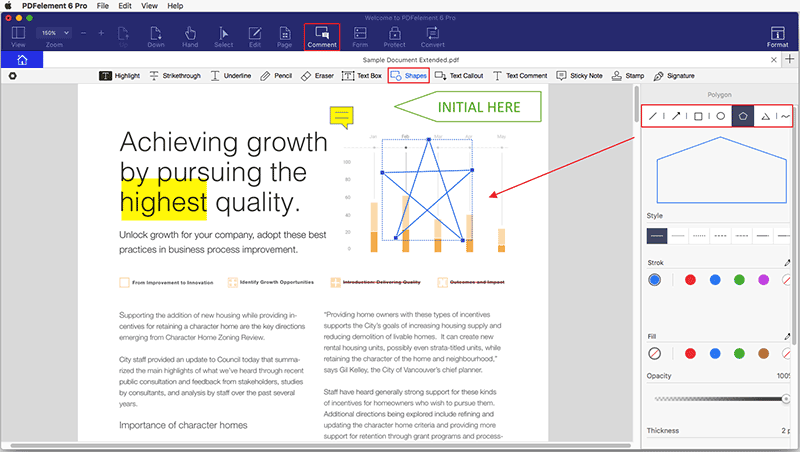 Most PDF tools will allow you to add basic shapes like stars, rectangles, and arrows. But tools like PDFelement makes drawing on PDF an even easier task. Though the Preview app is Mac's default image and PDF viewer, you might want to use a more advanced PDF editing tool. In this article we'll outline how to draw on a PDF on Mac using PDFelement. As mentioned previously, there is no reason to stick with the limited tools Mac gives you. 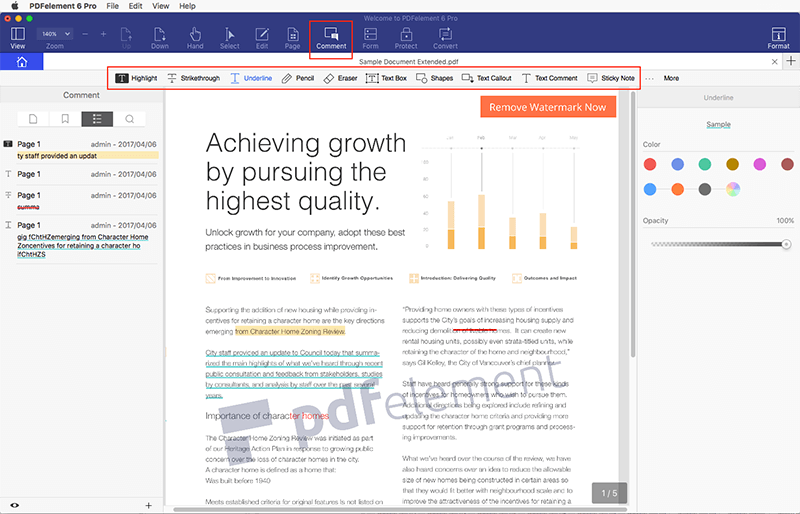 You can easily find a more advanced and feature-rich PDF solution in PDFelement for Mac. A wide palette of annotation tools: drawing on Mac, adding comments, sticky notes, and text boxes. Use personalized drawing tools to add different shapes for visual annotation. Edit text and images. You can change the text size, style, font, and more. With images, you can rotate, crop, replace, extract, and more. Convert any file type into a PDF file and vice versa. Use the batch conversion tool for converting multiple files at once. Protect your documents with password encryption. Add electronic signatures to PDF documents. Want to know how simple and easy it is to draw on a PDF on Mac using PDFelement? Follow this step-by-step tutorial. Open the PDF file you want to draw on, and go to the "Comment" tab. Go to "Comment" > "Shapes", and then select the shape you want to use. You'll notice different shapes on the right side panel. Now that you know the shape you want to use, select the area and position for drawing that shape in your document. Click on the area where you want to add the shape, and then drag the mouse to draw the shape or line. The arrow gives the direction that the annotation is attached to. A rectangle is a proofreading symbol. Use it to show others where something needs to be inserted into the document. A polygon is a closed plane figure, bounded by three or more line segments. You can use this option to easily draw the figure. A line is self-explanatory. You can also use the connected lines option, which will draw an open plan figure with three or more line segments. The oval tool can draw either an oval or a circle, depending on your preferences. A squiggly line can be drawn under text. This emphasizes the text, and draws the reader's attention to that line. Make sure that after adding the shape you want, you hold the "Command" key. Holding this key will allow you to click the shapes one by one and select more than one at a time. After adding the shapes, go to the right-side, and change the properties of any shape. Once you make the changes, they will be applied to all of the selected shapes. This way, you don't need to make the changes one by one. In the properties panel, you can change the style, stroke, fill, opacity, and thickness of the shapes you want to use for annotation visual elements. In addition to add ready-made shapes to a PDF on Mac, you can also use PDFelement to draw free-form shapes. For this feature, you need to use the Eraser or Pencil tools. The pencil will allow you to draw free hand shapes, while the eraser allows you to correct and revise the shapes as needed. To access this tool, go to the "Comment" tab and click on "Pencil". 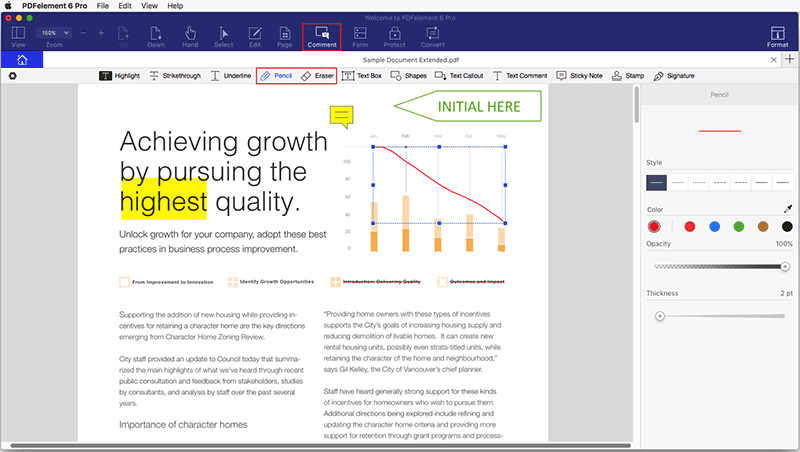 With your mouse, click and drag on your PDF document to create the shape you want. Once you finish drawing the shape, click on "Eraser" if you need to make modifications.